Students will spend four years reading, talking, and learning at St. John’s in Santa Fe. There are plenty of opportunities to engage on campus, from the epic Student Activities Center to campus events and organizations. Students will also have ample opportunity to enjoy the outdoor areas around campus—hiking, canoeing, camping, swimming, and exploring. All freshman live on campus and are guaranteed housing. Upperclassmen may live on campus or nearby in apartments, shared homes or casitas. 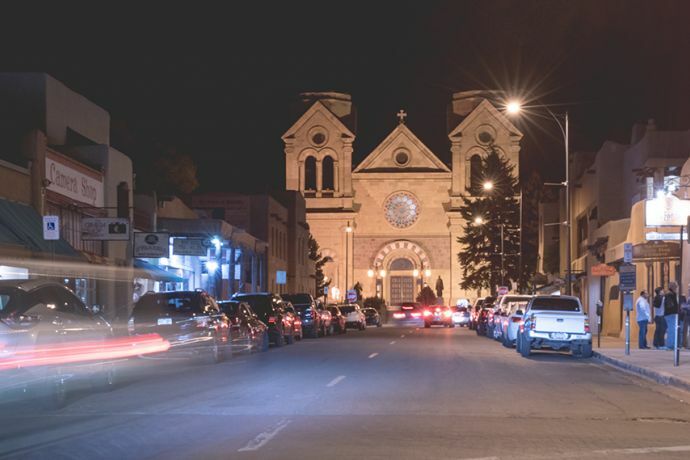 Santa Fe is a city for artists, makers, innovators and foodies; for outdoor adventurers and the environmentally minded; and for deep thinkers and spiritual seekers. Students run many types of organizations. If they don’t see a group they would like to join, they can start one on campus. Surrounded by nature, life on the Santa Fe campus blends great books with the great outdoors. St. John’s oversees the health and safety of students on campus.